one really common question is how many standard size Australian pallets can fit in a shipping container and do they fit 2 wide in a container. There are 2 thing that you need to consider. The first is are you using the old standard size of 1200x1200mm pallets or the new size 1165x1165mm and the second the type of shipping container you are using. General Purpose or Pallet Wide. 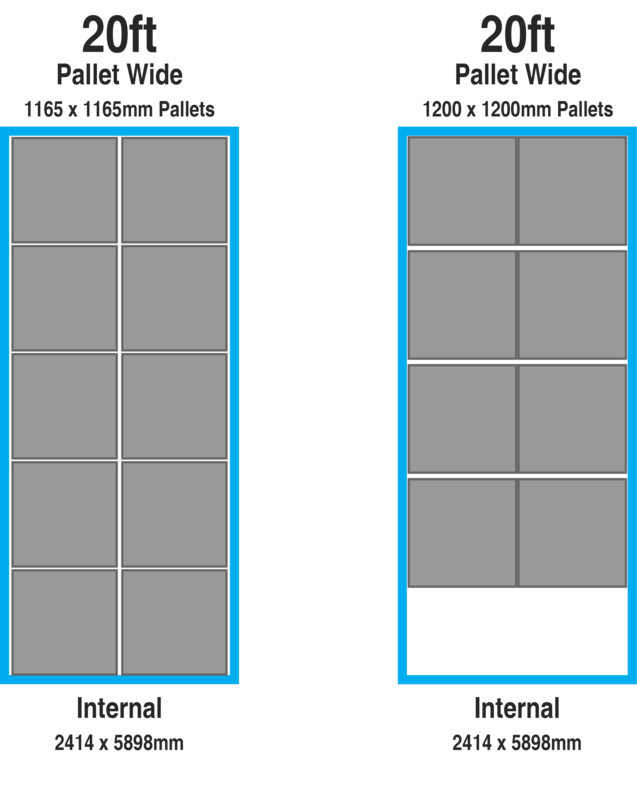 If you are using the smaller 1165mm size you can them 2 wide in a standard GP container however if you have 1200mm wide pallet then you will need to make sure that the container is a Pallet Wide (PW) container. 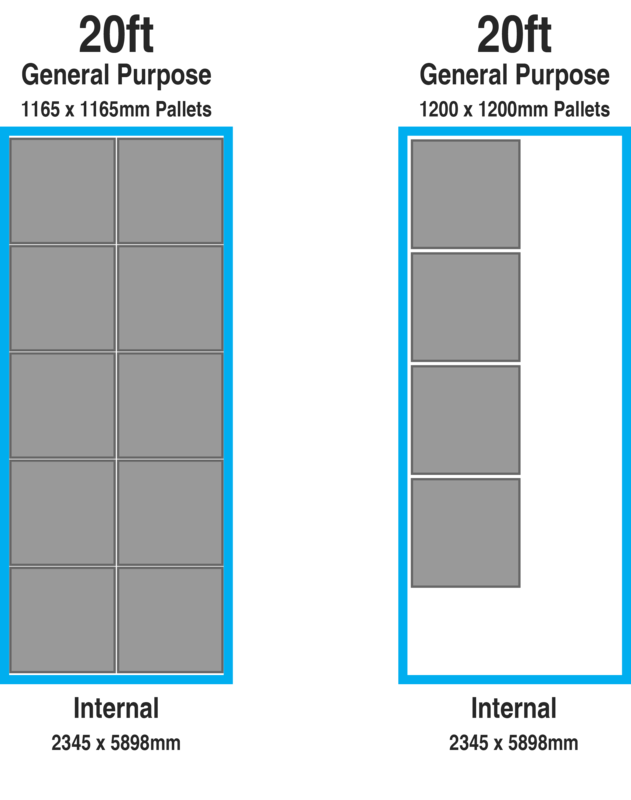 See the diagrams below as a guide to how many container you could fit in a shipping container.